"Faith is a beam radiating from the face of God. " The following excerpt is from Cardinal Dolan's May 11th, 2017, column in Catholic New York. "May is the month our Catholic piety dedicates to the Blessed Mother. This particularly beautiful month is given to her, since it is the height of the new life of spring, with nature lustily vibrant, and she is the Mother of the One who is 'the way, the truth and the life,' Jesus!" Our Council celebrates The Crowning of Mary on the first Monday in May. 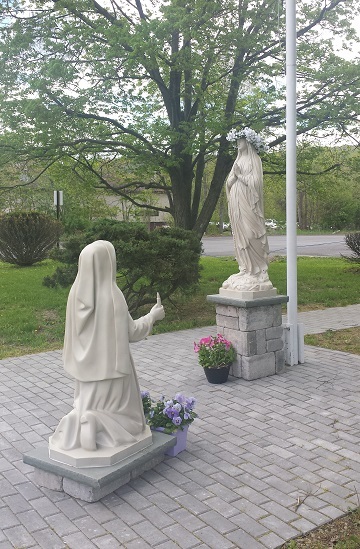 This year was exceptional, given the efforts and generosity of so many people who helped transform our front lawn to a place of beauty, piety and peace.